A number of Banbury crews raced at Thameside 1 yesterday. Organised by Reading Canoe Club, there was a record number of entries tackling the 12 mile, 13 portage course from Aldermaston to Reading CC in Caversham. Joe Petersen won the Junior Men K1 class, and Alice Murphy was 3rd in the Mixed K2 class with Matt Pickin from Falcon. 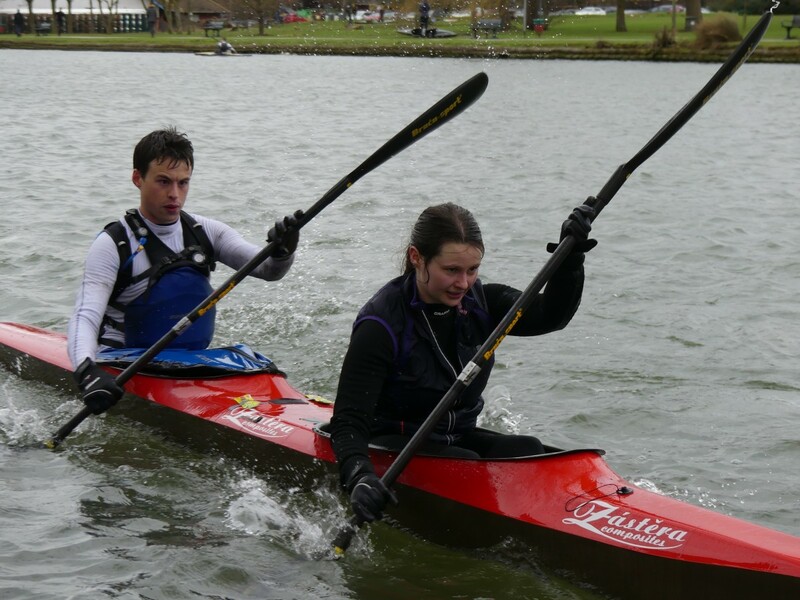 They were just one of our DW crews who were out in force getting in some course practise for the 125 mile race from Devizes to Westminster over the Easter weekend. Apart from Mark Latchem, who had to retire with a damaged boat, all the BDCC crews finished well. Special recognition should go to Michael and Harry (K2) and Jessie (K1), who were probably the youngest competitors on the day, and all finished strongly, albeit very tired!